Mention the word "Godzilla" in a car-related sense and everyone will know what you’re talking about… The GT-R, of course. While this nickname strictly speaking refers to the R32 version of the iconic Skyline GT-R range, it has by now been universally accepted to describe any model wearing the GT-R moniker. It was 50 years ago that the first version of "Godzilla" was released to dealers – giving birth to an iconic nameplate which spawned a series of halo GT cars and ultimately became a marque in its own right. With the internal Nissan designation PGC10, this original GT-R model initially was exclusive to a dealership network in Japan called Nissan Price Store and it was initially available only as a four-door sedan. The coupe version, chassis code KPGC10, only followed two years later. It was, however, the GT-R's history of racetrack dominance, with 50 victories scored from 1968 to 1972 including 49 consecutive wins in Japan that led to its popularity, and the C10 became known as "Hakosuka" – a combination of the Japanese word for box ("hako") and the Japanese abbreviation for skyline ("Suka" or "sukairain"). I’m sure you know all this. Just as you know that the third generation Skyline GT-R, the R32 conceived in 1989 (because Nissan wanted its own version of a Porsche 959), dominated the Japanese Touring Car Championship (JTCC), winning all races entered, and the championship three consecutive times – and that this dominance led to its nickname "Godzilla". For all intents and purposes, the R33, introduced in 1995, was a "Godzilla Evo" as it used a nearly identical engine to the R32, the same turbo’s and the same gearbox, but a newer four-wheel drive system with an active LSD. Interestingly, the fifth generation R34 version introduced twenty years ago was the only Skyline GT-R model officially made available in South Africa… even though we did receive the R30 and R31 versions of the Skyline, but never the GT-R derivative. While the R32 gained popularity from its achievements on track the R34, viewed by some as the ultimate Skyline, achieved fame due to its appearances in The Fast and The Furious movie franchise as the preferred ride of Brian O'Connor (played by the late Paul Walker). Like its predecessors, it was constantly updated, hatching V Spec (Victory Specification), V Spec N1, V Spec II, V Spec Nür, M Spec, M Spec Nür and Nismo Z-Tune derivatives during its lifespan. 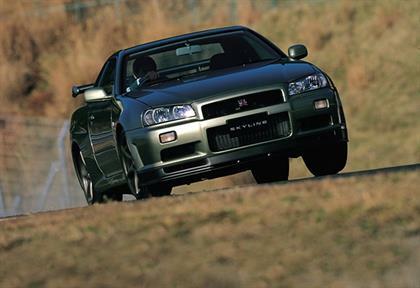 Production of the R34 ended in 2002 and Nissan announced that the next GT-R model would be separated from the Skyline range, creating an entirely new line – although still based on the Premium Midship (PM) platform first used by the V35 generation Skyline. 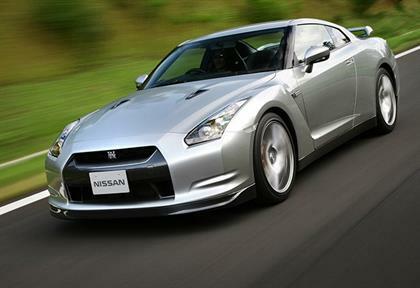 The new car, simply known as the Nissan GT-R, was released to consumers in 2008 and it was likened by Nissan to the giant robots of the popular Gundam series – a science fiction franchise that features giant robots and has also become an icon of Japanese culture. Digital developers were also involved in the development of the GT-R, as Polyphony Digital, creators of the Gran Turismo video games was roped in to design the GT-R's customisable multifunction display that had its roots in the R34 Skyline. The C110 GT-R, introduced at the 1972 Tokyo Motor Show as successor to the "hakosuka" Skyline and released to the public in 1973, is regarded as the "ghost" in the GT-R line-up due to its very short production run – the result of the oil crisis in the early 1970s which saw demand for high-performance sports cars dwindle. However, this makes it the rarest production Skyline GT-R ever, with only 197 cars built, and it also was the last GT-R for a decade; until production of the R32 began in 1989. Though ultimately unsuccessful, the influence of this Skyline generation on the future success of the GT-R cannot be underestimated. You see, while the C10 "hakosuka" GT-R made the Skyline name a legend among Japanese gearheads, it was the C110 "kenmeri" that made it a household name. But how? Bizarrely enough, it had nothing to with power ratings, motorsport prowess or on-road performance. 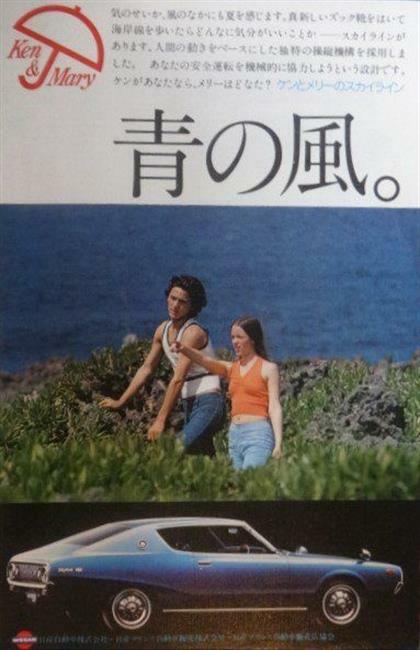 No, it was due to an advertising campaign featuring a young (supposedly American) couple, Ken and Mary, enjoying the great outdoors – perfectly capturing Japanese optimism and romance for road trips in the early 70s. According to an article by Jeff Koch for Hemmings Sports & Exotic Car magazine, Nissan at the time wanted an American feel for its new Skyline and "kenmeri" was a sort of pun: If you flip the order of the names you get Mary Ken... or A-meri-can… Now, say that with a Japanese accent. 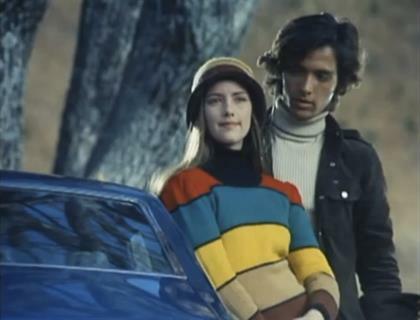 The original stars of the "kenmari" ads were a soapie actor of Russian and Japanese descent, Jimmy Zinnai, and the daughter of an American pilot living in Japan at the time, Diane Krey (now Krey-Wesley). 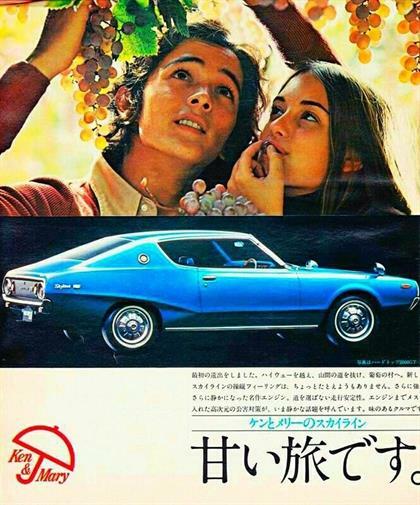 From late 1972 to late 1974 the advertisements with Ken and Mary enjoying the world in their Skyline 2000GTX were a cultural sensation in Japan. Zinnai and Krey became two of the most recognisable faces in Japan – at a time when the Skyline and GT-R was virtually unknown in South Africa and the Western world. The campaign was so successful it spawned a hit song by the Japanese folk band Buzz called "Ken & Mary, Ai to Kaze no Youni", t-shirts and other Ken and Mary paraphernalia, and even the large poplar tree used in later Ken and Mary commercials became a minor star itself. So, how will Nissan celebrate an icon created 50 years ago (remember, with the gaps in its production timeline it hasn’t been around for half a century…)? 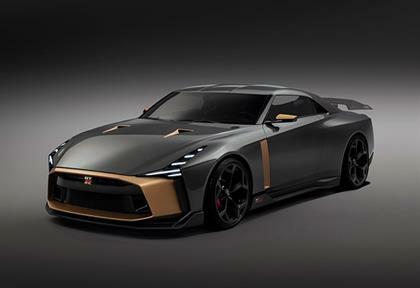 Well, last year Nissan commissioned italdesign to create the "GT-R50" to commemorate the 50th anniversaries of both the GT-R (it made its public debut at the 1968 Tokyo Motor Show) and the Italian design and engineering brand. Only fifty of these cars will be produced and they will be hugely expensive.